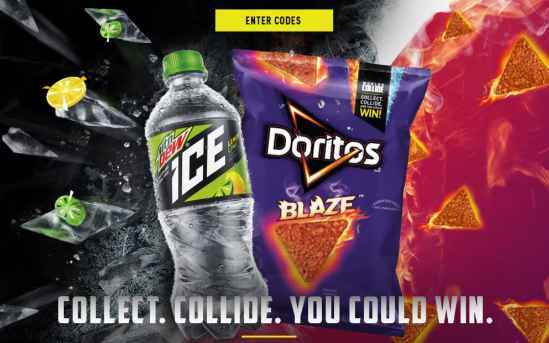 Join the Worlds Collide: MTN DEW ICE and DORITOS Sweepstakes now through August 11, 2018 and enter the codes at Dewanddoritos.com to collect coins for your chance to win instant win prizes plus get a chance to watch Worlds Collide. How To Enter The Sweepstakes At Dewanddoritos.com? Visit this link:Dewanddoritos.com to go to the sweepstakes page. Once you have registered your account on their website now log into your account using your email address and password, now you will prompted to enter MTN Dew ICE Code or Doritos code, the Participant will automatically be credited with a corresponding collision coin. Prizes You Could Win: Xbox One S 500GB console, Samsung 55″ Class NU7100 Smart 4K UHDTV, V-MODA Cross fade Wireless Headphones, DEW ROLL-TOP BACK PACK, DEW-CHARGED HOODIE, DEW CHILL FLIP FLOPS, DEW THROW BACK TEE, MTN DEW ICE™ x ITUNES GIFT CARD and much more. 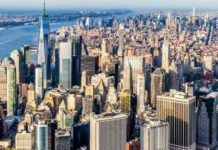 When To Enter: The Worlds Collide: MTN DEW ICE and DORITOS Sweepstakes entry begins June 18, 2018 at 12:00:00 p.m. Eastern Time (“ET”) and ends August 11, 2018 at 11:59:59 p.m. ET. Sponsor: Pepsi-Cola Company, 1111 Westchester Avenue, White Plains, NY 10604and Frito-Lay, Inc., 7701 Legacy Drive, Plano TX 75024.